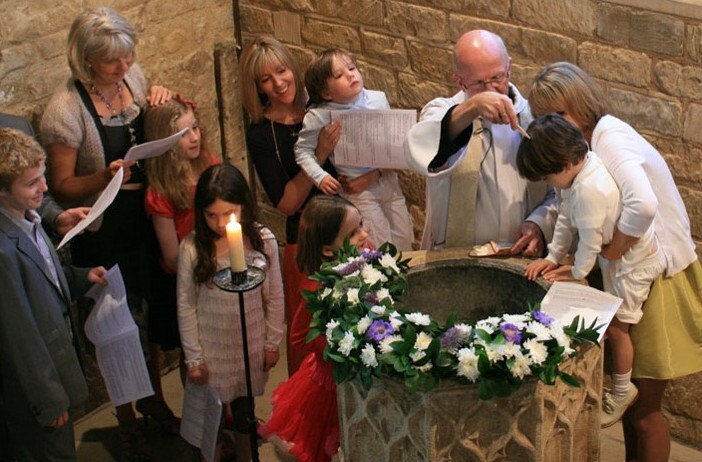 A baptism is when a baby or child is formally welcomed into the Christian church by being baptised with water. It’s also an opportunity to thank God for the gift of a child. We love holding baptisms at St. Mary’s and you would be very welcome to have your child baptised during our morning service at 10am or during our special baptism Services which are usually held on the 2nd and 4th Sundays of the month at 12noon. 1. Please read Organising a baptism at St. Mary’s. 2. In the first instance we would ask you to come along to one of the office half hour sessions held in the Parish Office each Friday between 6-6.30pm. This is so dates can be checked and forms filled in.